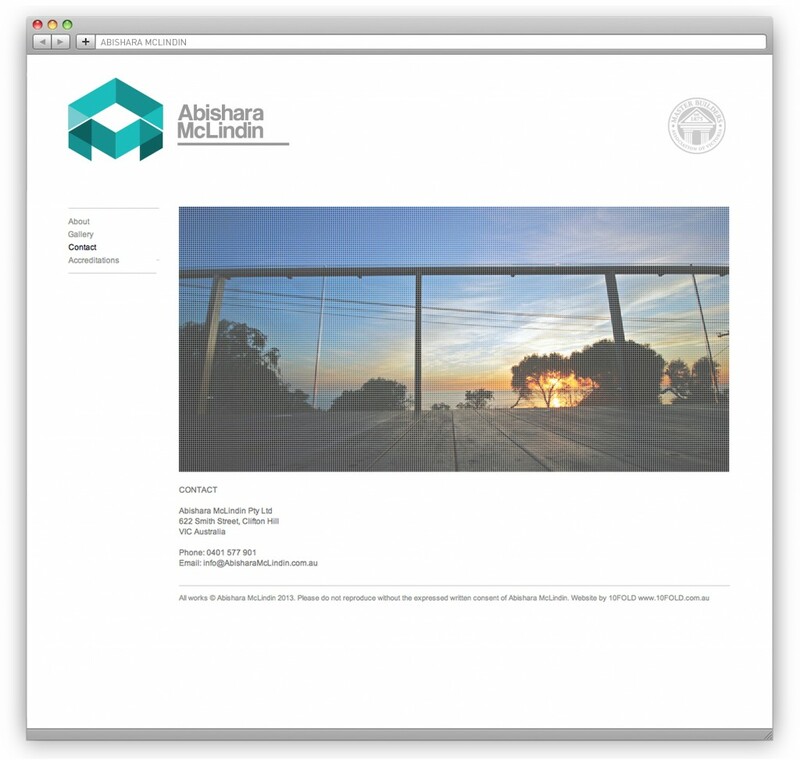 10FOLD created an effortlessly elegant website for Abishara McLindin. 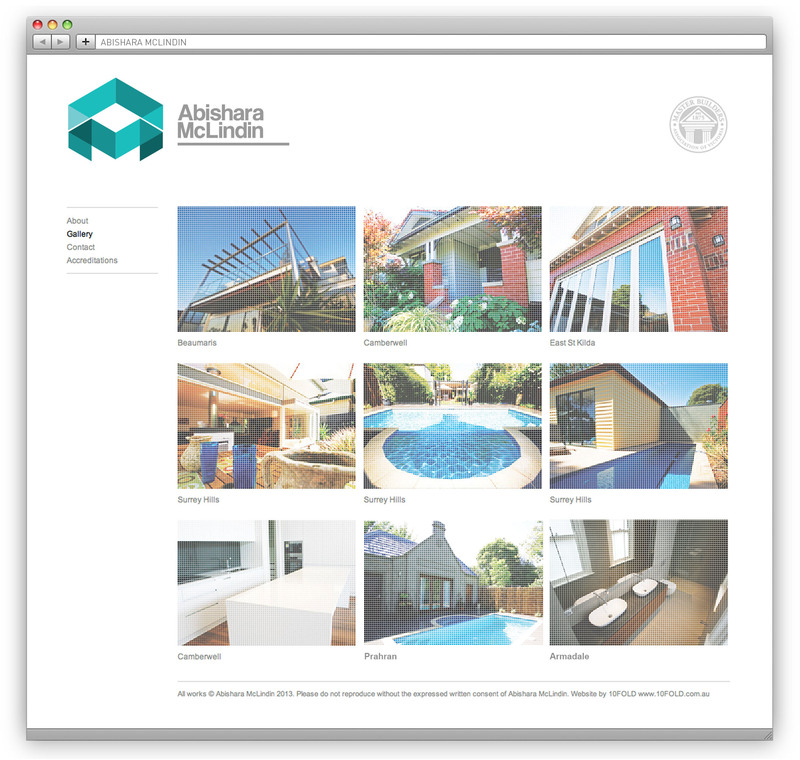 In order to best showcase Abishara McLindin’s 40 years of professional experience in the building industry, the website opts for clean, visual simplicity, choosing to exhibit a gallery of thumbnail images that lets the unquestionable quality of the work speak for itself. 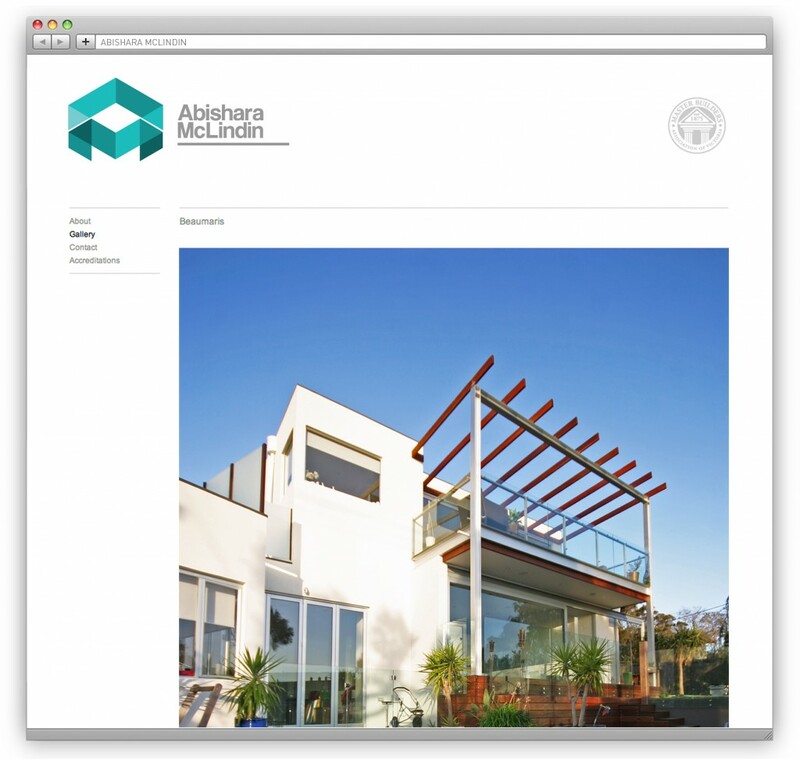 10FOLD additionally sought to enhance the website’s functionality with the addition of Behance ProSite features that include the benefits of Google Analytics and Domain name redirection. Congratulations to the April OrigArmy winner; Emma Forster’s Winning Entry “Touchy Turkey”. 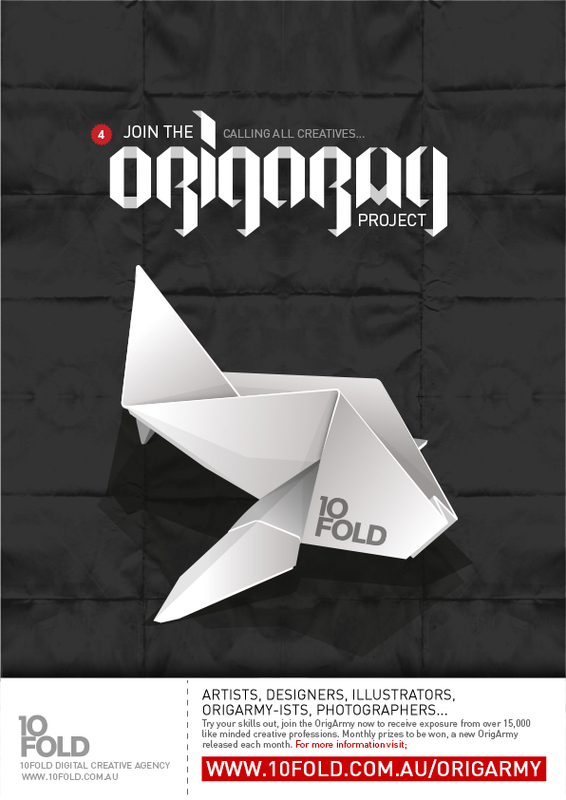 May: New OrigArmy Challenge – The Fish! 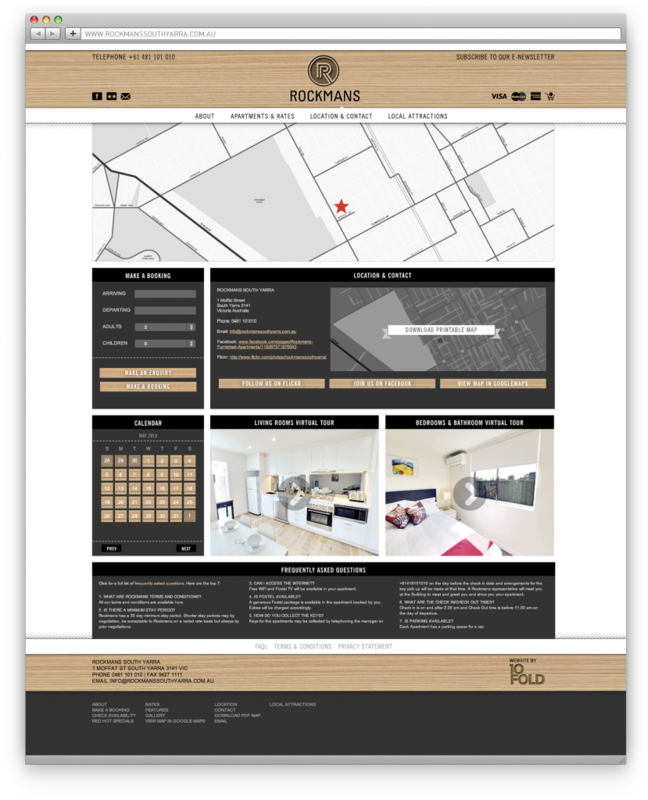 10FOLD redesigned Rockmans’ website to coincide with its new identity, featuring timber headers and the industrial architectural style inspired colour scheme. 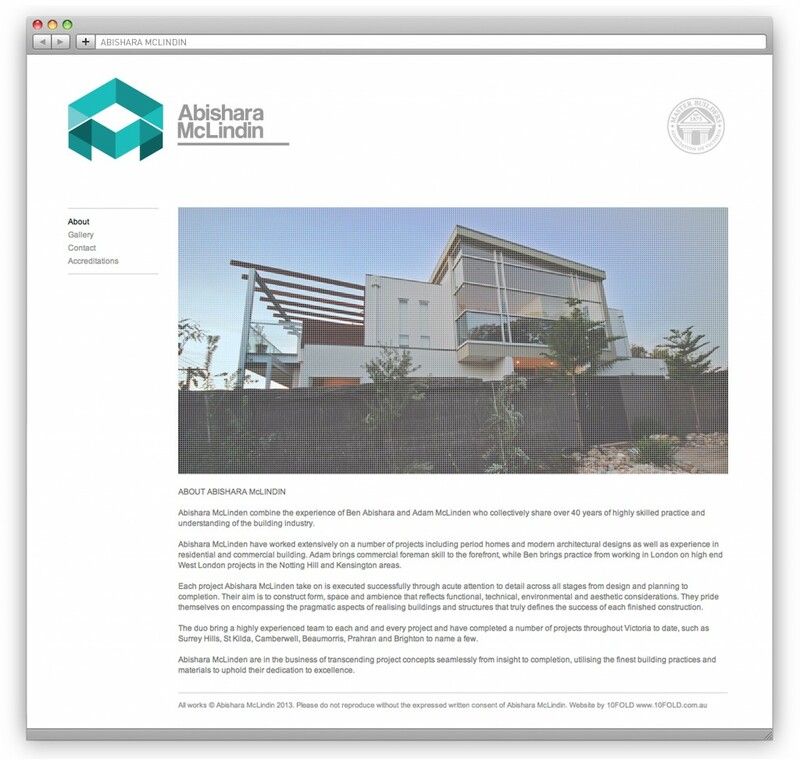 The website was created with the Drupal Content Management System, enhancing its usability by integrating the Ubercart booking system and simple ‘Check Availability’ mechanism. 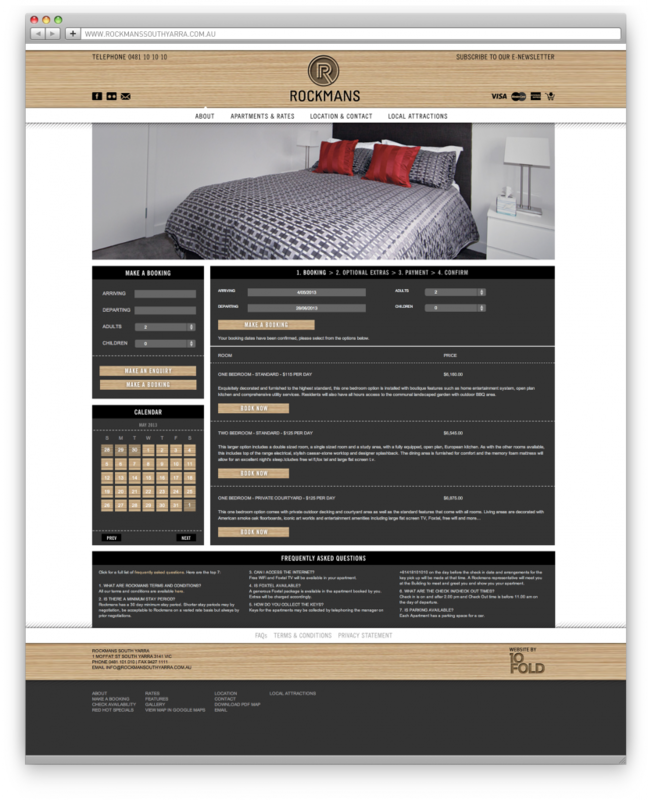 The customised homepage presents two 360-degree virtual tours, which showcase a range of rooms available. The search mechanism for ‘Local Attractions’ brings the local tourism and culture alive with the ability to filter personal preferences. 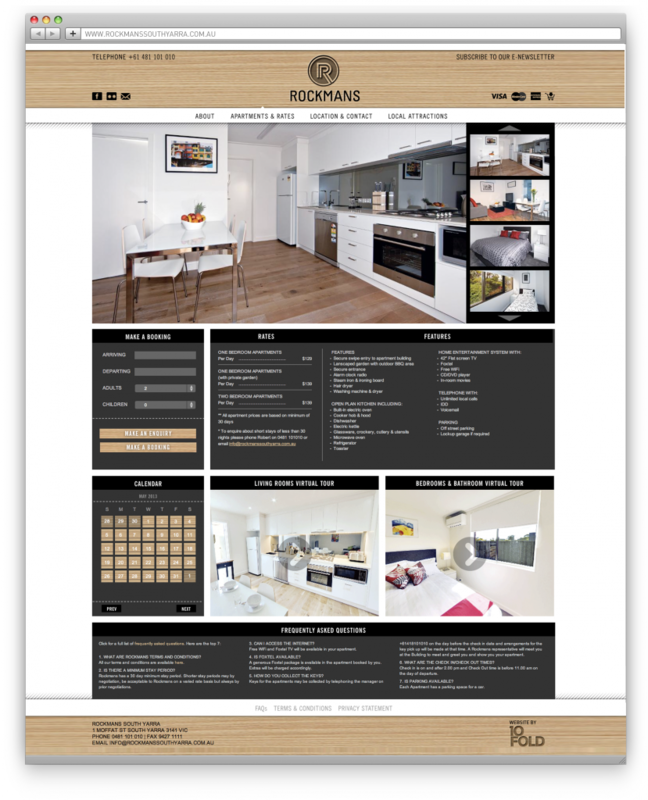 With these additional features and cutting-edge design, Rockmans’ website functionality is enhanced and reflects a unique and sophisticated brand. 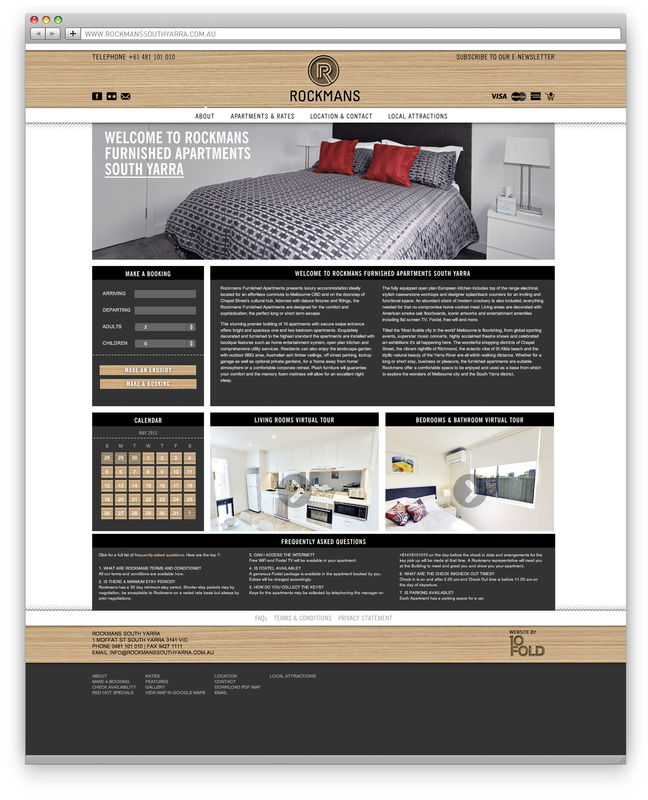 10FOLD was commissioned to design an iconic and unique identity for Rockmans Furnished Apartments, a luxury accommodation development that offers bright and spacious, one and two bedroom, long-term stay apartments. The design reflects Rockman’s minimalist, industrial and boutique interior and exterior architecture. The logo replicates Rockmans’ architectural timber features, emulating a woodcarving, letterpress style and includes a unique customised typeface. The effect is a sophisticated design that emulates Rockman’s contemporary chic.